With the ravages of winter, sensitive skin needs all the help it can get. In a world where gluten avoidance is in fashion and everyone, it seems, has a food intolerance, it’s easy to dismiss the 70 per cent of Canadians who claim to have sensitive skin, according to a recent study. But for women, during menopause, our skin can become increasingly more sensitive – turning an angry, inflamed red at the touch of scented cream or facial scrub. What is happening? As we age, “oil glands produce less lipids, and our skin doesn’t retain natural moisture,” explains Vancouver-based dermatologist Dr. Jason Rivers. Our skin’s hydrolipid film (an oil and water mix) that protects against germs diminishes, “the skin dries out, becomes more sensitive, red and irritable and can be more easily damaged by external factors,” says Rivers. While some sufferers think they have rosacea (which is characterized by extreme flushing and may progress to acne-like pustules and requires a clinical diagnosis), it may just be sensitive skin. So if the products that served you faithfully are suddenly too irritating, here are some soothing options just in time for winter. Skin barrier function describes its ability to protect itself. Older, dryer skin is already vulnerable to winter’s loss of humidity. Factor in hot showers that “strip skin’s natural oils,” says Los Angeles-based dermatologist Dr. Christine Choi Kim, and you further compromise the skin’s barrier that keeps irritants out and moisture in. “Fragrance is [also] associated with irritancy,” says Rivers, who developed Riversol, a sensitive skin-care line containing antioxidant, anti-inflammatory beta-thujaplicin derived from Pacific red cedar oil. Strengthen the skin barrier by bolstering its lipid content (lipids are the “mortar” between the skin cell “bricks”) with fragrance-free moisturizers containing lipids like ceramides and cholesterol and soothing anti-inflammatories. Try: Cliniderm RosaCalm Cream; Uriage Xémose Face Cream; Aveeno Absolutely Ageless Eye Cream. That bar of soap by the sink is only for your hands. “Degreasing cleansers like soap have a negative effect on the barrier and increase sensitivity,” says Rivers. Look for cleansers that restore lipids and don’t strip the skin. Try: Riversol Hydrating Cream Cleanser; Erno Laszlo Sensitive Cleansing Oil; Bioderma Sensibio Foaming Gel. Try: Body Shop Drops of Youth Liquid Peel. Retinol may be the gold standard for stimulating collagen production but can cause red peeling skin and intense dryness. Other effective anti-agers like “niacinamide, carob seed and peptides have been shown to have excellent tolerability compared to retinol,” says Procter & Gamble principal scientist Dr. Frauke Neuser. Olay Regenerist Miracle Boost Con-centrate with carob seeds, boosts skin’s production of natural growth factors, while niacinamide is an anti-inflammatory and peptides stimulate collagen synthesis. Try: Strivectin NIA24 Intensive Recovery Complex. For brightening along with collagen boosting, vitamin C’s antioxidant properties prevent free radical damage, which can weaken the skin’s barrier. Try: Jouviance Restructiv Vitamin C Night Serum. Wanting plump, hydrated skin isn’t just vanity. Skin is 64 per cent water, and well-hydrated skin is less sensitive, less prone to redness and is better protected against drying winter air. Look for ingredients like glycerin and hyaluronic acid, a molecule that can hold up to a thousand times its weight in water. Try: Skinceuticals HA Intensifier; Vichy Mineral 89 Daily Booster; Clarins Super Restorative Treatment Essence. Estrogen levels drop at menopause, but androgens (yes, women also have male hormones) remain constant, creating a potential increase in oil production. Add this to already sluggish skin cell turnover, and acne can reappear “on the chin and jawline as opposed to the T-zone,” says Choi Kim. Instead of strong products designed for hardier teenage skin, try light therapy, the same used in dermatologists’ offices. Neutrogena’s Light Therapy mask uses blue light to neutralize bacteria and red to calm inflammation, and Foreo’s blue light Espada device (Murale) tackles blemishes and speeds healing. Men have more collagen in their skin and produce more sebum, so they visibly age more slowly. 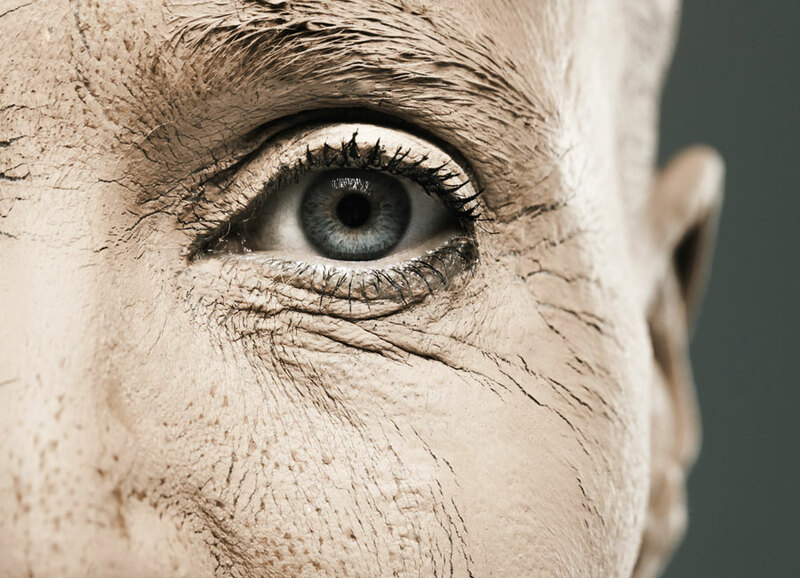 Thus, the topic of “sensitive skin as you get older” doesn’t impact them as much. However, for some mature men, “sensitive skin relates to conditions including rosacea, eczema, psoriasis,” says Rivers. Gentle cleansers and unfragranced moisturizers (try Nivea Men’s Sensitive Skin Moisture Cream) can calm skin, but shaving may be a challenge. Instead of that hollow-handled disposable, try Gillette’s ProShield Chill razor with friction-easing, lubricating strips surrounding the blades. To minimize irritation, prep with beard oil before applying shaving foam and use a gentle glycolic acid scrub weekly to unclog pores and protect against ingrown hairs. Try: American Crew Ultra Gliding Shave Oil; Biotherm Anti-Irritations and Anti-Redness Shaving Foam; Nip+Fab Glycolic Scrub Fix exfoliant. A version of this article appeared in the November 2017 issue with the headline, “S.O.S (save our skin),” p. 22.